Today's release brings you a couple of new feature. Our Salesforce integration allows our clients automatically send information from Rating-System ratings&reviews or Q&A into a Case of their Salesforce account. Conditions can be applied using advanced logic to identify certain respondents that will be saved into Salesforce and the ones will not. On top of that, our clients can build customer loyalty and deliver the best possible customer service by unifying the customers’ data across Service Cloud, mobile, web and on premise environments to close the loop. And also increase sales by integrating customer questions into your already existing sales support workflows. You can also drastically improve the product innovation cycles by integrating product reviews into product insight. We look forward to receiving your feedback on these new features. SEO Integration – Everybody wants to be on the first page of Google, whether you are a service or a product provider, it is everyone’s’ desire to be there! The way Google notices and advances websites through their rankings and page numbers is through traffic, ‘tags’ and ‘keywords’, and website presentation, as we have mentioned to you in previous blogs. So when the page is being constantly observed and reviewed by clients, the integration comes in effect and your top search engines begins to recognize your page, and in today’s business, recognition is key. Stay socially active – In today’s world, people spend more time on social network sites more than they actually think they do. Online networking has been a great success. Seeing your product on a website like Facebook or Twitter, gives you a huge advantage of over your competitors. You are guaranteed for success towards traffic piling into your website just by a simple ‘Like’, ‘Share’, ‘Comment’, ‘Rate’, or ‘Review’. Using Rating System combined with social networking, you can steadily increase your page traffic. Multi Dimensional Ratings - In multi-dimensional ratings, you are allowed to have more than one 'criteria'. Now, these criterias (as mentioned in our previous blog) are based on how you wish to rate your product or service that you provide. Go ahead and create any type of dimensional label, and you can chose from many of our dimension types. All these criterias that we provide are “weighted”. As you assign different weight for different criterias, you then can achieve a balanced average rating. It is very useful for certain products and services that many businesses today offer and provide. Good reviews – Making to have the right reviews on each product is crucial. Reviews have a huge impact on conversion. But why? A large amount of reviews allows segmenting the review content, so you are able to show better information to your customers. Imagine having 100 reviews on a product, that gives time for the customer to find its’ specific needs. Make sure your reviews are easy to read and understood! And always to make sure to organize and sort your reviews, making it simple for consumers to find what they are looking for. 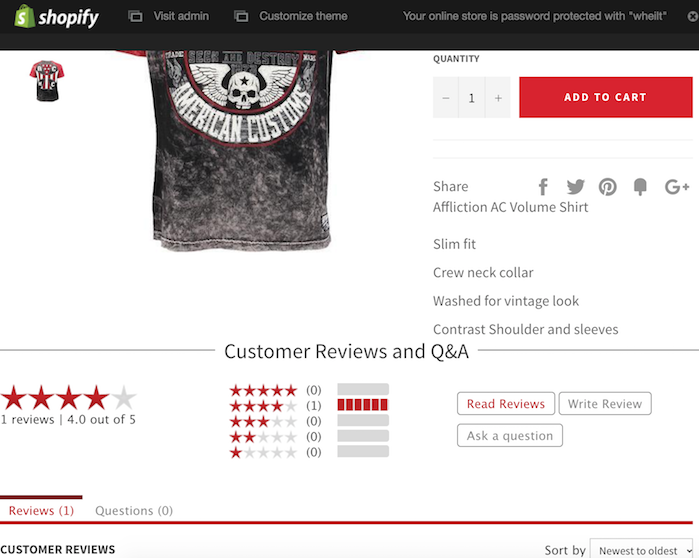 All these key features, on top of others, make up the Rating Box values and control. All integration packages are available upon request, and if you have any further questions about any of these ideal features, please feel free to contact us, we will gladly go deeper and explain! The search engine Google uses a large amount of methods to figure out which pages are displayed first (highest) in the results. Their ways are secret, but there are a few things you can do to increase your position in the rankings. The term for this is Search Engine Optimization (SEO), which Rating System provides for you on our paid plan. Unfortunately, we cannot increase traffic using back-links, that’s not how Rating System works. The way Google notices and advances websites through their rankings and page numbers is through traffic, ‘tags’ and ‘keywords’, as well as website presentation. For example, let’s say you are trying to offer and sell a product to a customer, a brand new Infiniti M37. When the website is first created, Google won’t be noticing your website due to the lack of traffic and website presentation. How can we change that? Simple. Once you’ve finished customizing your page and products are ready to sell, by using a Rate/Review box, it gives your product a chance to be; discussed, rated, reviewed and possibly even shared. This includes the ‘tags’ and ‘keywords’ mentioned above. As people rate and review and mention ‘Infiniti’ or ‘M37’, Google recognizes this. It notices that your recent created or updated website has been seeing; more traffic, more product discussions, possibly even more product purchases. Then, Google sees that the website is active, it receives good traffic, its products are reviewed and bought, and website has great presentation, why not bump them up to the first page on search results? SEO is one of the many features that Rating-System provides. Stay tuned for next blog as we talk about ‘Follow Up Marketing E-mails.